On the occasion of 20th earthquake safety day, Friends Service Council Nepal (FSCN) took part in the different programs in Kathmandu Valley. FSCN members, staffs and PRAGATI project, funded by ECHO and executed by the consortium of DCA, ADRA Nepal and VSO, team along with the direct beneficiaries of Bhaktapur district took part in a rally that was started from Madhypur Thimi Municipality and converted in a program at the premises of Nepal Red Cross Society Balkumari, Bhaktapur branch. The chief guest of the program was Mr Rajendra Man Shrestha State Assembly member of Bhaktapur 2 (B) constituency, the program was conducted on the chairmanship of Mr. Madan Sundar Shrestha, Mayor of Madhepur Thimi Municipality. 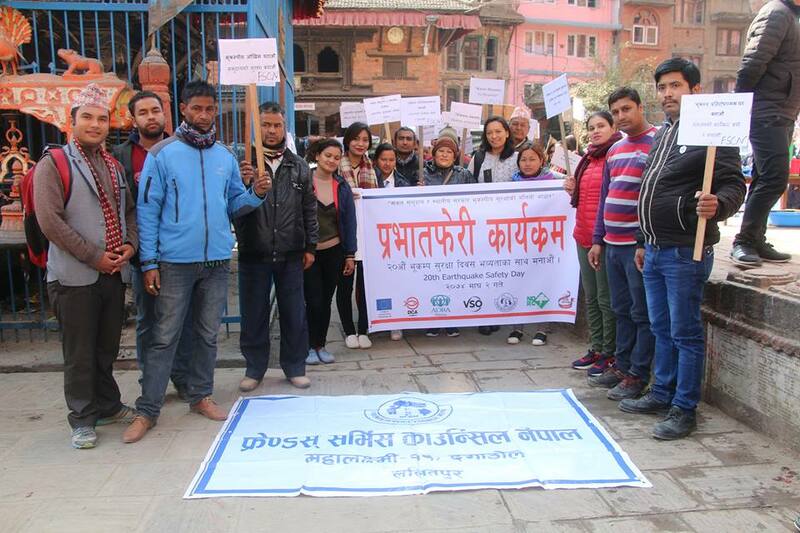 The program was organized by District Disaster Management Committee (DDMC), Bhaktapur in the collaboration with different organizations, stakeholders and concerned agencies. In the program chairman of DDMC Bhaktapur, Mr. Drona Pokharel (CDO of Bhaktapur) gave his remarkable speech on the importance of earthquake safety day celebration. 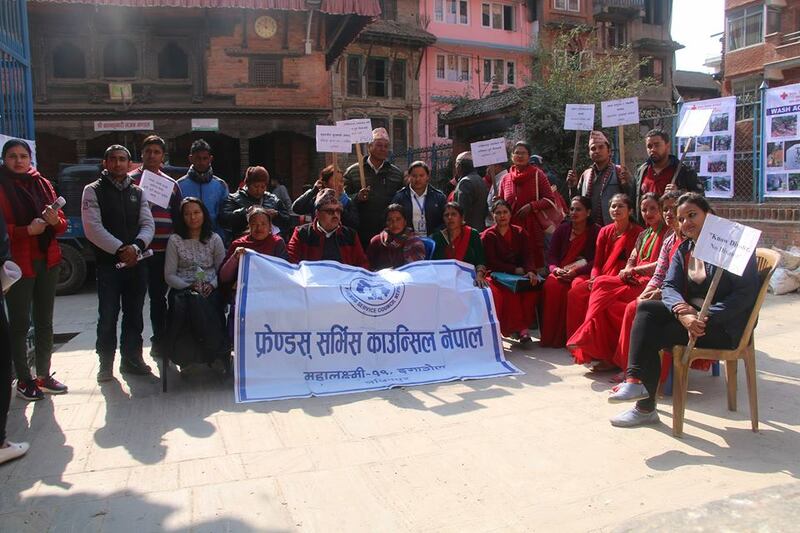 Similarly, FSCN team also took part in the program at Basantapur organized at central level. In the program the chief guest was Honorable Sher Bahadur Deuba, Prime-Minister of Nepal, and the chairmanship of Honorable Bir Bahadur Balayar Minister, Physical Infrastructure and Transport.